Marvão is a municipality in Portugal with a total area of 154.9 km² and a total population of 3,739 inhabitants. 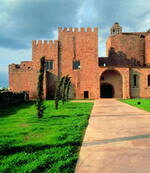 The municipality is composed of 4 parishes, and is located in the District of Portalegre. The present Mayor is Vitor Martins Frutuoso, elected by the Social Democratic Party. The municipal holiday is September 8. Its name is derived from an ancient local Muslim chieftain, named Ibn Marwan. 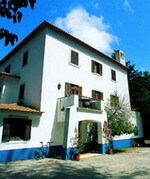 The Albergaria O Poejo Boutique Hotel is located in Santo Antonio das Areias, Portugal. 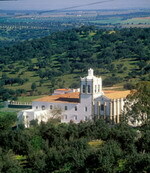 Marvao is four kilometres away, Castelo de Vide is ten kilometres away, and Portalegre is 25 kilometres away. 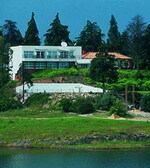 Beira Train Station is situated four kilometres from the hotel. Surrounded by the Sao Mamede Mountain Natural Park, the Albergaria O Poejo Boutique Hotel combines traditional Alentejo architecture with contemporary decor. The hotel is hung with original artwork and decorated with traditional rustic artefacts, and there is an onsite library, gift shop, and terrace area. 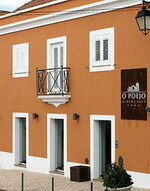 The Albergaria O Poejo Boutique Hotel has a bright, modern restaurant housed in a former olive factory serving a range of traditional Portuguese dishes including Shark Broth, Fried Pork with Clams, and Marvao Lamb. 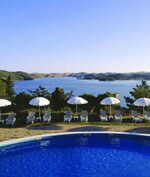 There is a lobby bar with a fireplace, and a complimentary buffet breakfast is provided. 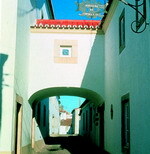 Santa Clara-a-Velha is a Portuguese parish in the municipality of Odemira. It has a population of 780 (2001) and an area of 99.42 km². Santiago do Cacém is a municipality in Portugal with a total area of 1060.0 km² and a total population of 30,305 inhabitants. 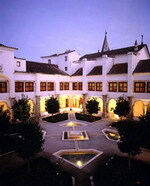 The municipality is composed of 11 parishes, and is located in the district of Setúbal. The present Mayor is Vitor Manuel Caro Proença, elected by the Unitarian Democratic Coalition. The municipal holiday is July 25. Vila Viçosa is a town in Vila Viçosa Municipality, Portugal.